A gas wall furnace is a gas-powered heating unit that sits against or in a wall that helps to heat the home, even though not as a primary source but as a complementary heating source. This kind of furnace works best for areas in the home that don’t get hit as easily by the main furnace. As the gas is becoming the most common heating fuel source nowadays with its competitive price, many consumers are considering buying this new gas unit and replacing their old, inefficient heating system inside the house. The cost and efficiency can offset the ever changing and volatile heating material prices. Also there will be less pollution problems around the hose when the older model is replaced by a new unit, and you can expect a steady heat producing out of it. Do you have one room in the home that constantly stays cold? 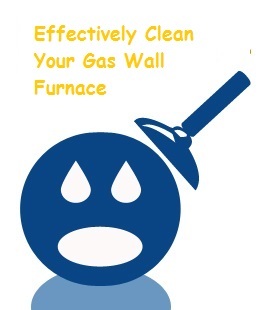 If so, then a gas wall furnace may be the answer to the problem. 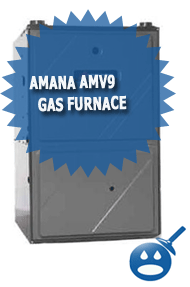 Of course, before you purchase just any kind of gas wall furnace, it’s important to know what the room size is. After all, the heater size will directly relate with the room size. Another thing to consider is if you want the heater to be portable or permanent. If the room you want to heat is fairly large, then you might want to consider something more portable. Permanent gas wall furnaces are connected to the gas lines of a home. A portable gas heater must be fed gas; similar to a lawn mower. Another reason to purchase a gas wall furnace is if you plan on adding in another room to your home. Rather than purchase a brand new furnace to make up the heat difference, a gas wall furnace will suffice. 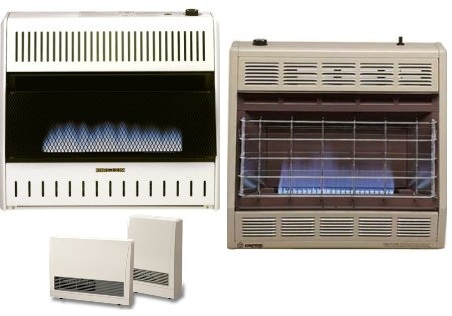 Consider a two-sided gas wall furnace to heat adjoining rooms using the one heater. When you’re looking at gas wall furnaces, consider if you want a vented or unvented one. Most electric thermostat run furnaces are vented. And, many permanent wall heaters are vented too. A vent is included to ensure carbon monoxide is filtered out, which is why a vented heater is so much safer. That’s not to say that unvented gas wall heaters are not safe. The majority of them have an oxygen depletion sensor installed on them. This device lets you know when the carbon monoxide levels are too high. If the furnace unit has high efficiency rating, then your investment will be fully returned in the long term, because the higher the fuel utilization efficiency rate is, the better usage of gas source the unit will have when it burns and transforms into heating energy. Also there will be fewer amounts of emissions and environmental issues that it might cause during the operation. If you go with newer model on the market, you will find some units with above 96 percent of total fuel utilization efficiency level, which is by far better than older model of about 65 percent manufactured in late 1960s. 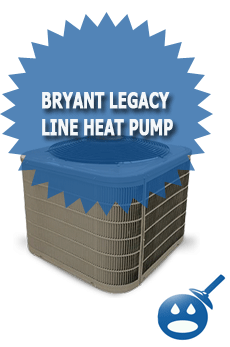 But also remember that the unit with higher efficiency rate usually costs more than the less performance ones. It’s not uncommon to find one for around $300 but they can reach as high as $3,000. Price shouldn’t be an object. If you need something for a temporary fix, cheaper is fine. 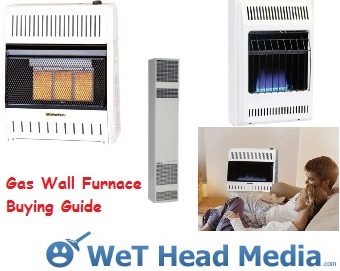 If you want something permanent for your living room, then it’s best to pony up the dough and buy the more expensive gas wall heater.